1) To force me to write more! 2) To share my adventures…although mostly lame, sometimes interesting! 3) To become an active Type 1 Diabetes Advocate! 4) To share my nerdiness with others who either may feel a) less nerdy after reading, b) equally as nerdy or c) that they never want to associate themselves with me ever again! Hopefully no one is a “c”, but to those who are about to close out the window, its your loss! 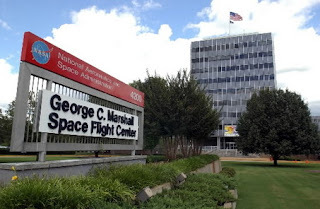 Currently I am in Huntsville, AL for a summer internship at NASA’s Marshall Space Flight Center. I’m having a great time learning new stuff about NASA, meeting new people and working on a great project! 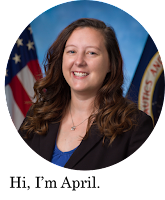 If you want to feel extra nerdy today, keep reading to expand your knowledge of NASA’s Ares project!! 2) The Constellation project includes 2 rockets, the Ares-I Crew Launch Vehicle (on the right) and the Ares-V Heavy Cargo Launch Vehicle (on the left), keyword: HEAVY (once flown it will be the largest and heaviest rocket ever launched!!!!! Holy Crap that's awesome!!!!!). 3) I am working on the Ares-I vehicle, specifically on the Caution and Warning Conditions. You are probably thinking, “what the heck are caution and warning conditions?” Well, basically NASA wants to make the Ares-I (which has a crew!) as safe as possible. This means thousands of sensors are monitored each second (usually several times a second!) to ensure each system and subsystem is performing in the “nominal” range (“nominal” means in the expected range). The Caution and Warning conditions monitor the data being collected from each sensor and alert the ground and possibly the crew if any “off-nominal” events are occurring. This allows the crew time to decide what to do if the event progresses to an “abort” situation (abort means the crew must get off the rocket because something catastrophic is happening or is about to happen). I hope you enjoyed your introduction to NASA’s Constellation Project! AH HA! first comment! I for one feel less nerdy now. Why is fixin' an alabama-ism? Don't the rest of the world use it like that? How big is the space shuttle compared to the ares? Can you please put up a picture of the space shuttle and maybe the rocket that took the men to the moon with the ares rockets? for comparison I mean.